Living in the shadow of an 800 year old church, dining at a 400 year old restaurant! Who do we think we are!? 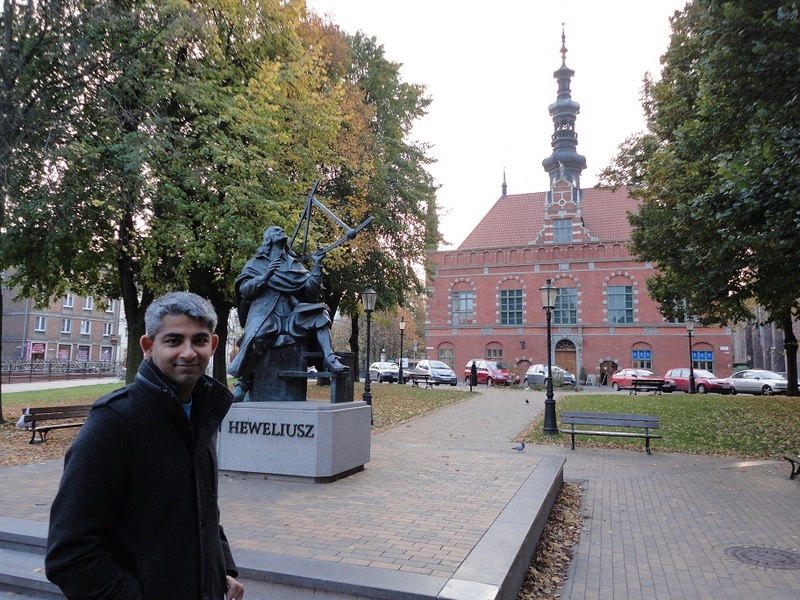 Those were the highlights of our trip to Poland! 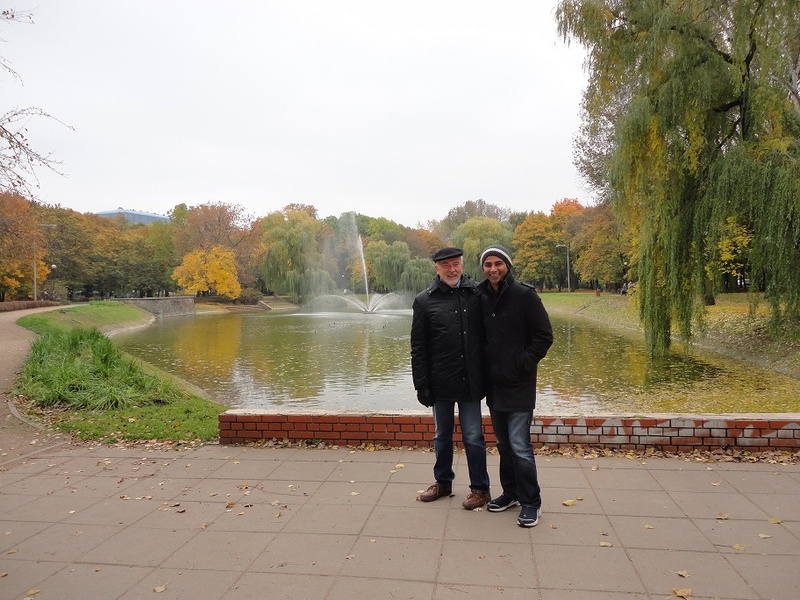 Many friends asked us why we traveled to Poland instead of other countries in Europe. Our dear friend Zbig, who is our neighbor in Seattle, has been inviting us to his home in Warsaw for a couple of years now. We had to begin the international chapter of our trip with him! Zbig, Nika and family are some of the most intellectual, generous folks that Raj and I know and the most gracious hosts! 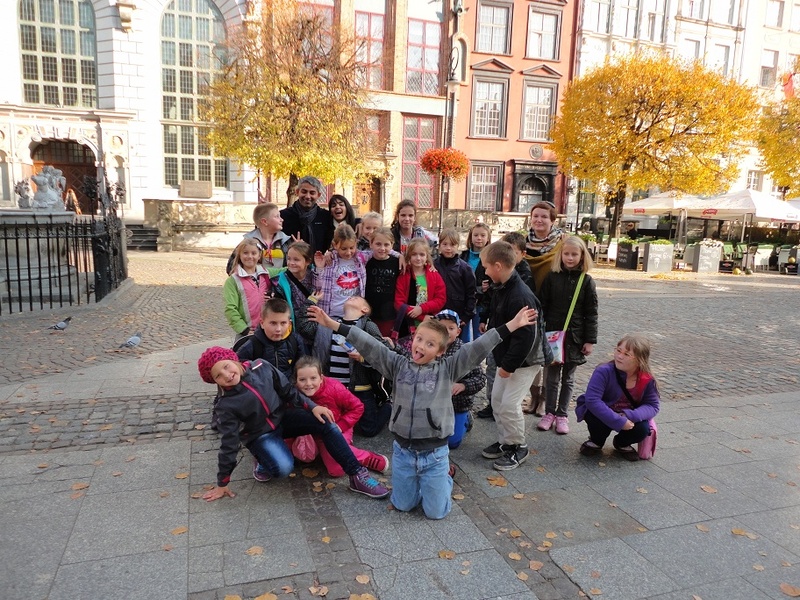 We spent our time with them in Warsaw and a little town by the name Bukwald near Olsztyn in the Varmia region. In Bukwald, we spent most of our time hanging out by the lake, eating like we hadn’t seen food in a week and drinking yummy wines! We also went mushroom hunting and explored the woods around the lake. Zbig had been urging us to visit in the summer so we could swim in the lake – we’ll have to go back in the next couple of years! However, fall had its own appeal with beautiful colored leaves, mushrooms aplenty and an excuse to hang out and chat by the fireplace. 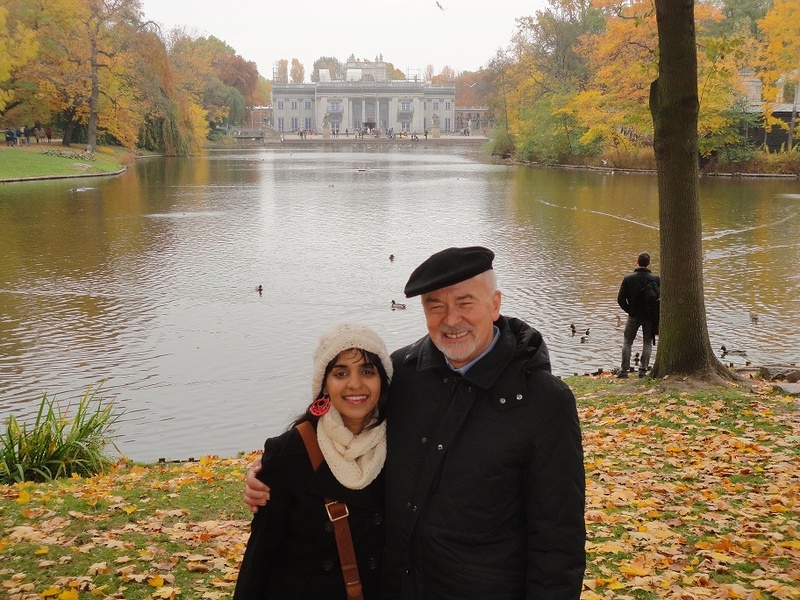 We spent just one day in Warsaw but only now, as I write this post, I realize how much Zbig made us do in that one day :). We started off with a nice walk in the Royal Lazienki museum (wikipedia) where Polish royalty lived over the centuries. We got to tour the bath house (note – not a bath ’room’ but a bath ‘house’! ), a painting room where every wall was adorned with multiple paintings from floor to ceiling, and admire the skillfully carved marble structures across the many rooms in the mansion. We then took off to a fairly new museum dedicated to the Warsaw Uprising towards the end of World War II, in which the brave Polish people of Warsaw led an uprising against the Nazi occupation. The Polish failed miserably since they had no support from any of the Allies – most of the city was destroyed and 180,000 civilians including doctors, lawyers, intellectuals and philosophers lost their lives. Many were sent to concentration camps. There still exists a debate today on whether the Warsaw Uprsing was a good idea given the probability of success and the extensive tragedy. Fascinating, albeit sad, piece of history! On hearing these stories, I couldn’t help but draw parallels with the India-Pakistan war. One of the major differences, of course, is that Poland and Germany have excellent relationships today. On pondering and brainstorming about why that is, I came to the conclusion that it’s because the Germans apologized profusely aghast at the damage caused by their own kin, and the Polish forgave and moved on to build a strong economy. From the museum, we headed over to old town. It’s pretty amazing how the buildings and forts have been restored to their glory before the destruction in World War II. This is something I really appreciated about Poland – the people’s pride in their country and their effort to restore the city. 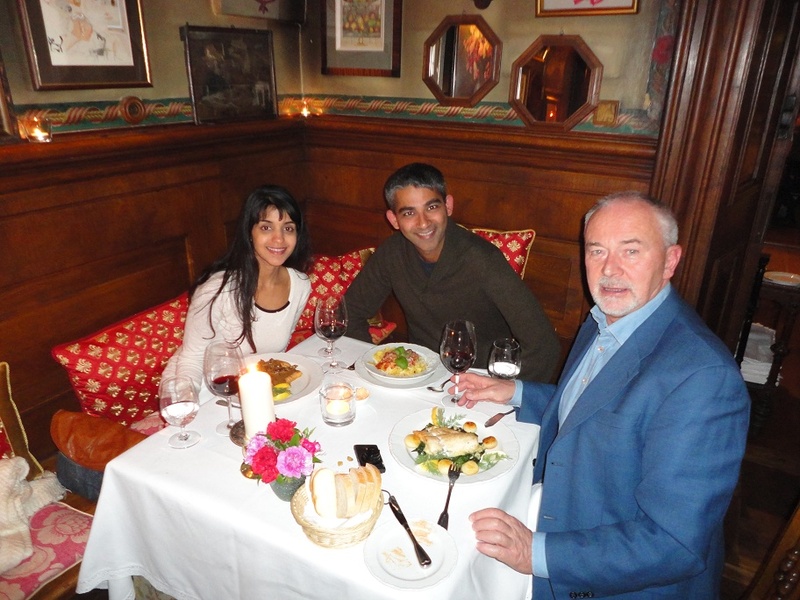 Zbig took us to the oldest restaurant in Warsaw, just 400 years old! (Note my sarcasm? That’s older than the United States of America!) While the main floor of the building was restored to resemble what it looked like before the destruction, an original narrow circular stairwell took you down to the basement which had more tables, bathrooms and wine cellars. The authentic Polish meal at this exclusive restaurant was an experience we won’t forget for a long time! Thank you Zbig! We spent our last three days in Poland in the northern city of Gdansk, by the Baltic Sea. World War II started because of a dispute over the control of this port town – the place where the first shots were fired is now a memorial. The Solidarity movement, that brought democracy to communist Poland, also began here. 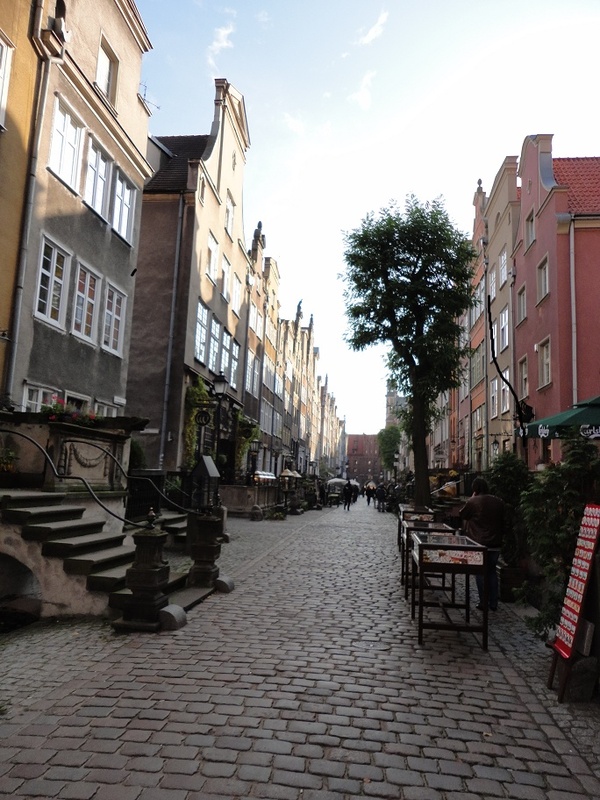 Now, a beautiful, lazy old town with churches galore, cobblestone streets, window shopping for amber jewelry, and a bunch of people watching, Gdansk was just what we needed to get over jetlag and the hustle of traveling (refer to the previous blog post ;)). Watching people walk around in Poland was like sitting on the side of a runway – people seemed to be dressed in some of their best clothes, most women in skinny pants, ankle boots and fitted leather jackets. 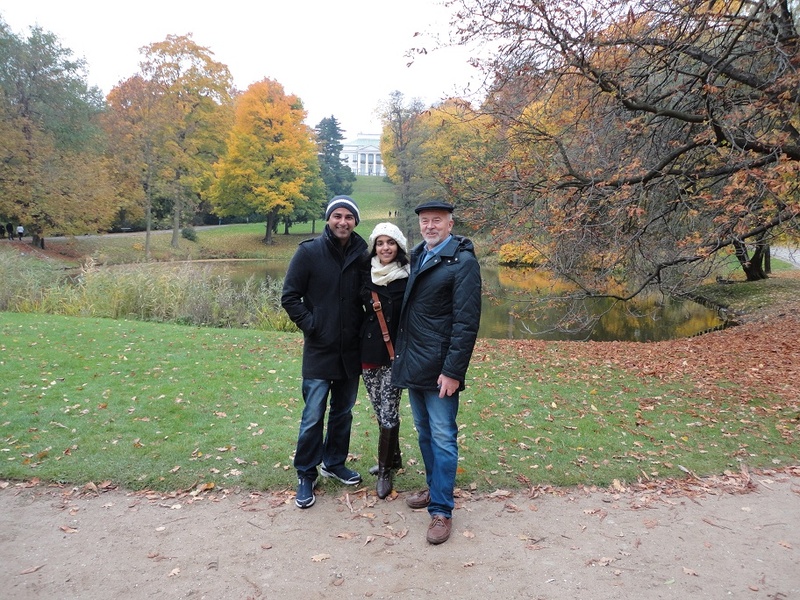 Raj and I were probably the most under dressed tourists, not to mention seemingly the only non-white ones. The lack of diversity really stood out to me! We saw just one other brown man and one Asian woman over the course of three days. We were lucky to find an apartment on the famous St. Mary’s street named after the spectacular St. Mary’s church, supposedly the largest brick building church in the world that can accommodate 25000 people! 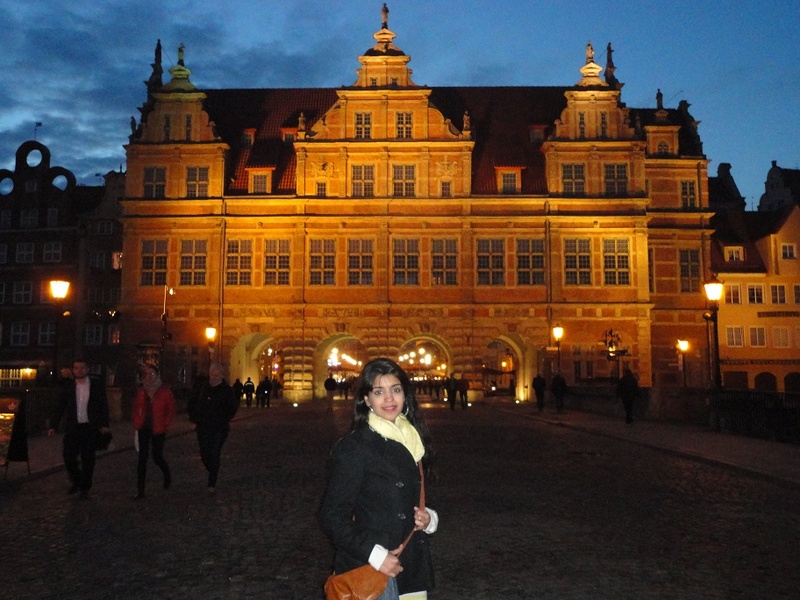 Its construction began in the 12th century and was completed in the 15th century! The street allowed just pedestrians and was lined with shops that sold amber jewelry – what a tease! We stayed on the 3rd floor of the building in the picture. 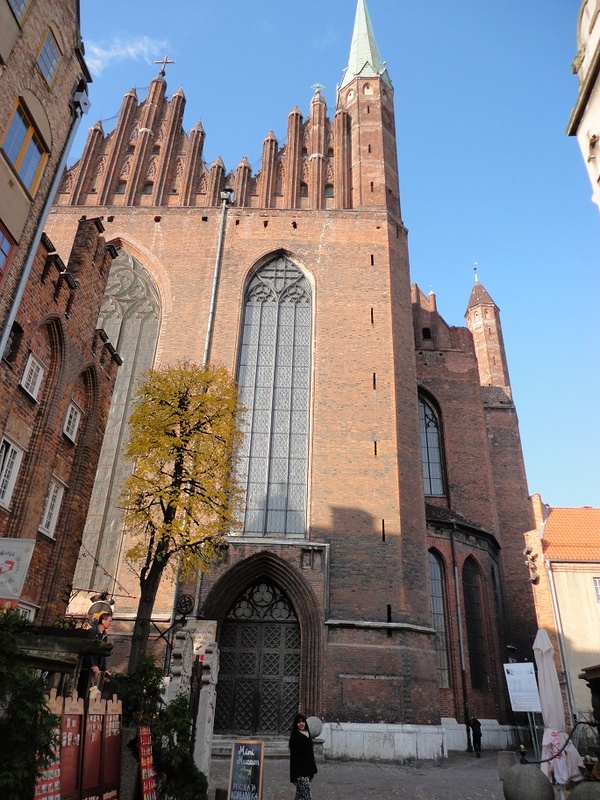 We were also lucky to catch an organ performance at the beautiful Oliwa (pronounced Oli-fa) cathedral. The gigantic organ was built right over the tall entrance over the church so that you had to look behind you to view it if you were facing the altar. Interestingly enough, you couldn’t view the nuns who were playing the organ almost like they were no name artists and the only reason there was any music was to focus on your prayers. The acoustics in this church were fantastic. We really wanted to visit Krakow in the south and pay our respects at the Auschwitz concentration camp memorial, but it would have involved a lot of driving. We’ll definitely visit that area the next time we are in Poland! 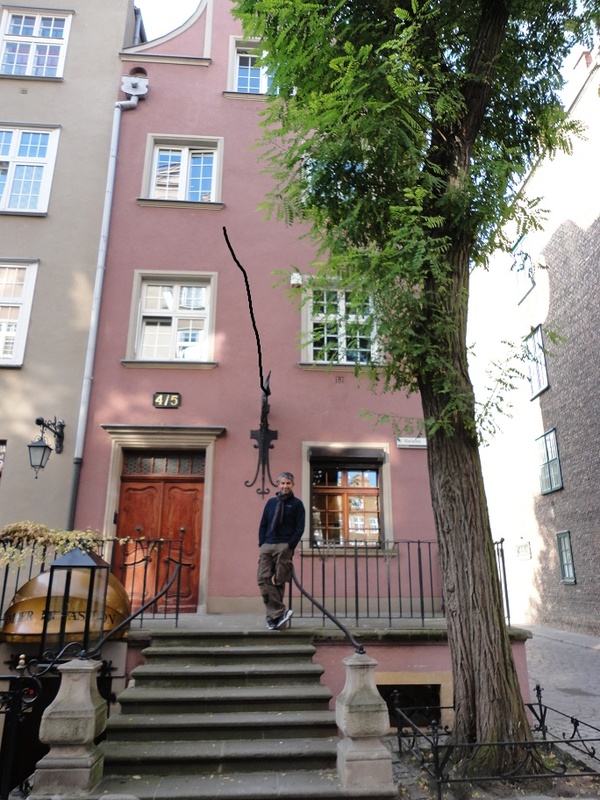 This entry was posted in Europe, Friends and Family, Poland and tagged Bukwald, Gdansk, Poland, Warsaw, Warsaw Uprising. Bookmark the permalink.